SAN ANTONIO - A little two months after he was arrested on charges of bringing methamphetamine into the Bexar County Jail, a former detention officer has said he'll plead guilty to the charge, court records show. Gabriel Robert Ortiz is scheduled to appear in court Nov. 20 to formally plead guilty before a judge. He and Ruben Hernandez were arrested July 26 on charges they brought methamphetamine into the jail where both worked as detention officers. 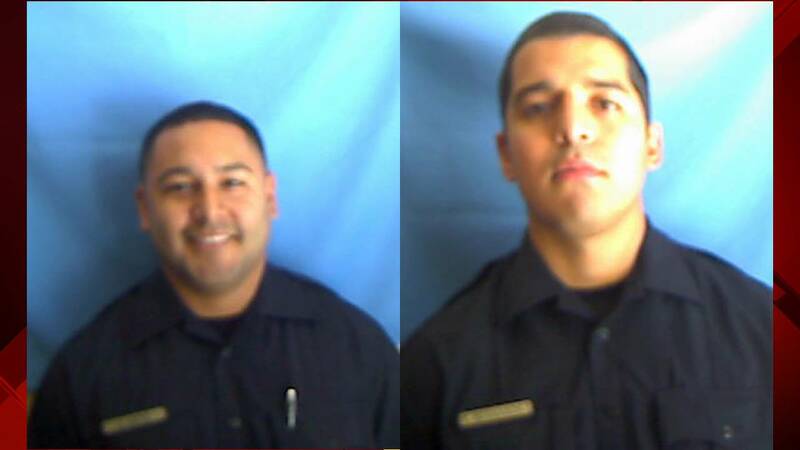 Sheriff Javier Salazar has said the pair graduated from the same academy class and were hired as probationary officers in July 2017. They have since been fired. An indictment alleged the pair started their scheme a few months later. Ortiz is accused of bringing in the drugs as early as April 26, then again on May 17. The indictment said the pair worked together to bring in methamphetamine between May 4, and June 22. Hernandez faced a Nov. 9 deadline to plead guilty or face trial later this month. His attorney filed a request for an extension of that plea deadline so he "may complete discovery and continue plea negotiations." Each man faces up to 20 years in federal prison.